Tim S. Vasquez’s casual, easy-to-read writing style has collided with his vast life experiences to create his long-awaited first book, The Taco Stand. Growing up in the kitchen of his parents’ Mexican restaurant in Tempe, Arizona, has provided him the impetus for the book. Tim is the owner and operator of his family’s restaurants, Someburros and Isabel’s Amor, where he strives each and every day to honor the legacy of his Nana Isabel and Tata Poncho. I loved children’s books but I enjoyed writing more than reading. What were some of your favorite books/authors? I enjoyed Shel Silverstein and A Light in the Attic as a child. As a high school student I loved The Count of Monte Cristo. I wanted to be a professional baseball player. I worked in my parents’ restaurant, Someburros, growing up and now I own the business and that is my full-time job. My grandma Betty was a good writer and so was my mom, Mary. They always made writing fun and something enjoyable to do. My mom still loves writing poetry and she has had a huge influence on my writing. I love the storytelling aspect of writing. I enjoy using words that paint a picture in the reader’s mind so they actually feel like they are a part of the story. Finding the time to actually do it. I think the best stories are ones that the reader can relate to and totally picture in their mind. I love getting a cup pf coffee and “people watching.” I try to think about who they are, what they are doing, and how they got there. Every person has a story and if I think about what it might be, sometimes it inspires me to write. What is your favorite reading/writing snack? I write best right after exercising outdoors. It seems to get my creative juices flowing. What writing advice do you have for aspiring authors? There are no rules and there is no right or wrong with writing. Be creative. Be yourself. Write what’s on your mind. If you could spend a day in any imaginary world from a book you’ve read, where would it be and why? I’d love to be adventuring in Where the Wild Things Are. My book, The Taco Stand, tells the story of my Nana Isabel and her passion for cooking and making tacos for her boys to sell on the street corner. One day, she is approached by a man in a black suit and he presents his greedy plan to expand her business while taking time away from her family. Isabel is faced with the decision between fortune or time spent with family. For more information about Tim Vasquez and his book, visit www.thetacostandbook.com. Phil Yeh founded Cartoonists Across America in 1985 to increase literacy across the country. He has painted more than 1,800 murals in 49 U.S. States and more than a dozen countries. Phil’s goal is to create and encourage literacy through the Arts. "I am pleased that the Cartoonists Across America Tour has been formed, because I agree that literacy has become a problem in our country. Humor itself is always a valuable tool in providing incentive for reading.” - Charles M. Schulz, creator of Peanuts. The recent snow storms in Southern California postponed our much-anticipated visit from Phil Yeh. He was going to bring his talents to our classroom to create a mural with the students who have severe cognitive delays in our classes. Finally, he was able to brave the weather and he and his wife Linda came to spend the day with our students. Paint, brushes, and comic books were all unpacked and Phil soon began to freehand the mural for us to paint. Right before our eyes he created mountains, the sun, Joshua Trees, and many animal characters for our students to paint in. Highlighted across he wrote, “Building a World of Readers, Artists and Dreamers.” The first of the students came to choose their colors to paint. Their varied cognitive and physical delays were pushed aside and soon forgotten as they excitedly picked up their paint brushes and paint and began to fill in the mural. Each student took their turn in adding their personal touches to our mural. Soon, there was a bright yellow sun with deep red lips painted by our beautiful young student who despite being deaf, uses her assertive nature to command and direct others. Our young man with Cerebral Palsy in his electric wheelchair spent an hour painting the Joshua Trees. He was so intent on getting it right and staying within the lines, carefully dipping his paint brush in the green and then raising his arm to apply the color. The hours passed quickly as more than 30 students whose abilities included Autism, Down syndrome, visual and hearing Impairments, and intellectual disabilities, took turns adding their loving touch to the mural. The occupational therapists, speech therapists, education specialists and educational assistants all joined in to add color and flare to the community board. The students used their creative imaginations and formed a river flowing at the bottom of the mountains. Animals were given varying color schemes, none looking the same as different students tackled different areas. Birds flying across the mountains sported colors in yellow, red, blue, and brown. The mountains were orange, yellow, and blue. A young man in an electric wheelchair painted the rabbit with a red face and a purple suit. Phil Yeh spent the morning helping and encouraging the students and explained his philosophies and experiences about using the Arts to expand and increase the use of combining art and literacy to build stronger communities. “Our belief is that without the presence of creative expression, the ability of students and adults to learn and pursue any subject becomes stifled, uninspired and robotic,” he says. Phil’s graphic novel, Dinosaurs Across America, teaches U.S. Geography while entertaining students and adults with the vividly illustrated pages. As Phil painted over the black lines on the mural the paint brushes were washed, and the paint put away. The mural will be showcased in a local art show to appreciate artwork developed by individuals with disabilities. A fitting end, to a unique and amazing opportunity given to our students, on this rainy, wintery day. We are all responsible and influence Phil’s dream to create literacy through the arts and to help him accomplish his goal of “Building a World of Readers, Artists and Dreamers” in homes, classrooms, libraries, and community centers throughout the country. Meet the authors/illustrator team behind Angel’s Forever Home (Mascot Books), a true story about a dog who was rescued from a Chilean earthquake, and searches for his forever home. Facing his fear of rejection for not being like other dogs, he embarks on a journey that teaches him the importance of patience, courage, and the willingness to open his heart to others. Donna: I am a lifelong resident of Rockland County, NY and have resided in Tappan, NY for the last 21 years. Renie: I grew up In Airmont, NY (Suffern). Rita: No, I didn’t have an interest in reading till senior year in high school. Donna: I was an avid reader as a child. I especially enjoyed the Nancy Drew mysteries. I still have the collection to this day. Renie: Yes, all the time. What were some of your favorite books/authors/artists? Rita: There are so many and very diverse. Some are The Great Gatsby, The Eden Book series, Outlander, The Biology of Belief, Becoming Supernatural, The Glass House, etc. Bobbie: The Godfather’s Daughter, An Unlikely Story of Love Healing and Redemption, Judy Blume books, astrology and healing books. Donna: Judy Blume was my favorite author and I read Are You There God? It's Me, Margaret so many times the book was torn and worn out. Renie: Renoir and Monet, I don’t really have a favorite artist. Rita: I always knew I would help people but just allowed it to unfold to where I am today. Donna: I had dreamed of becoming a reporter and enjoyed watching the Lou Grant show with my dad. It always intrigued me how the reporter would put their story together. Renie: A mom and an artist. I considered interior decorating or art therapy as well. Tell us about some of the jobs you’ve had before you became a writer/illustrator. 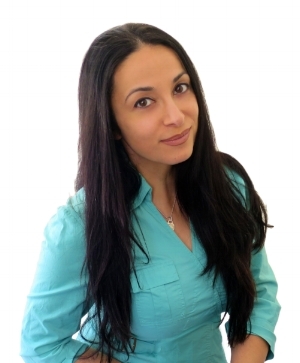 Rita: I am a psychic, medium, healer, health coach, massage therapist and exercise physiologist. Donna: In high school I worked in the bakery department of a local supermarket and eventually fell into the work as an administrative assistant. While I continue to write, I continue to work as an administrative assistant to keep the steady income flowing. Which is imperative with college tuition for our daughter. Renie: As a teenager I worked in a bakery, a florist, and a clothing store. Later I worked as a realtor while trying to build up my art career. How did you get started writing/illustrating? Rita: I started writing my memoir 15 years before it came out in 2012. Bobbie: When I started college I wrote lots of poems from my life. Donna: Back in 2007 I came across the Institute of Children’s Literature aptitude test and my long-shelved desire to write was re-sparked. I eagerly completed the test and mailed it back. Yes, back then we used snail mail…LOL. And I now have six children’s books to my credit along with many print and online magazine articles. Renie: I sketched and painted all the time growing up. I took every class available in high school. I studied art in NYC then continued with art lessons. I painted murals in both schools and private residences. I had the opportunity to teach children in an art/craft studio. I am now commissioned for custom artwork, painting pet portraits and house rendering and that is how I was asked to illustrate this book, I originally painted a pet portrait for the author. What do you like best about writing/drawing? Rita: For me it is very cathartic and healing. I also love to bring stories to life, make people laugh, and help others in their healing process. Bobbie: Bringing a true story to life. Donna: Once I have a story idea in place and I have conducted my research whether it be for historical fiction or internal character interviews, I move forward with the story. Even though I am the creator of the story, it often amazes me the twists and turns a story takes from my original plan. Renie: Just the feeling of creating something, I find it to be a combination of fun, exciting, rewarding, and relaxing all at the same time. Bobbie: Having the time to do it. Donna: When conducting my research for my historical fiction books, The Golden Pathway and Powder Monkey I needed to remind myself when to stop the research and get down to the writing. Rita: A character that speaks to me. Good descriptions of people, places and events. A story should make you want to read more even when you get to the end. Anything that I can learn from. Bobbie: The truth and experiences of someone’s life. Donna: From my perspective it’s important not to be preaching to the reader by a lesson. To create a true world where a child can relate to his/her life will keep them interested rather than trying to get a lesson across. Rita: Meditation, exercise, and discussion with other authors. Bobbie: Inspiration comes from within and experiencing life with new people every day. Donna: My inspiration comes from many facets. From jotting down conversations my children have had with their friends over the years while playing, newspaper articles, or even an overhead conversation or action while out and about. Renie: Sometimes from my feelings whether I’m going through a good or even difficult time, which will affect my work. The beautiful colors outside also inspire me. What is your favorite reading/writing/drawing snack? Donna: French vanilla tea with bite-sized cold chocolate chip cookies. Yum. Do you have any quirky writing/illustrating habits? Rita: Not really. Just need a quiet place and sometimes exercise will give me motivation and great ideas. Bobbie: I doodle while I write. Donna: My research, character interview, outlines, and first drafts are always written long-hand with my favorite writing pen. A Graf von Faber-Castell pen gifted to me by my husband and daughters when my first children’s book, The Golden Pathway was published in 2010. Renie: Not really quirky, but I have an old eraser I should toss but I love using it, even though I have newer ones, I always use that one. Also I like blending colors with dirty water for shadowing. What writing advice do you have for aspiring authors and illustrators? Rita: Push through. Know that whatever you have to say is worthy and can help others. Trust the process. Bobbie: Write from your heart. Donna: Participate in writer’s workshops, conferences, and critique groups. Read, read, and read some more in the genre you find the most inspiring to write for. Renie: Just create, don’t overthink, especially wondering if it’s “right “or “wrong,” because it’s not either, it is your creation, just let it flow out…. When drawing a person or an animal, always use absolute black and absolute white in the eyes. A teacher taught me that when I was younger and I always think of that, just a simple fact. Rita: Outlander. Love the culture, land, time period, etc. Bobbie: I would be in the afterlife and experience what it would be like and then come back to Earth and share my experiences. Donna: The Chronicles of Narnia: The Lion, the Witch and the Wardrobe by C.S. Lewis. It is absolutely fascinating how the characters go from one world to another. Renie: I would spend the day in a mystical garden; I like the woodland/garden watercolor scenes with fairies and angels all around. For more information about Donna McDine, visit www.donnamcdine.com. I’ve conducted hundreds of writing workshops over the years with students and adults of all ages. Young or older, students all have questions about the writing process. One of the first questions asked in every session is: Where do you get your ideas? My answer is always the same. Ideas are everywhere. You just need to open your eyes and look around; open your ears and listen. It works for me. My annual visit to the dermatologist was the spark for this month’s column. Sitting in the exam room got me thinking about just how amazing human skin is as a protective covering. It’s tough, yet flexible. It keeps harmful irritants out, but is porous enough to let off excess body heat and moisture in the form of sweat. If cut or scraped or roughed up, skin has the ability to heal quickly, often in just a matter of days. These facts I knew already. But with curiosity piqued, I asked some questions to learn more. Skin is actually the largest organ of the human body. Most people know a bit about human organs. The heart pumps blood through a miles-long network of arteries, veins, and capillaries. With every breath, our lungs take in oxygen from the air and expel carbon dioxide and water as waste products. Our liver and kidneys rid the body of harmful toxins. All of those organs are connected inside our body. On the outside, our skin is the perfect covering for everything. That includes all of our organs, muscles, bones, nerves and brain. An average-sized person has between 16 and 22 square feet of skin. Spread across a flat surface, that is enough to cover a single bed. Or, consider that a standard doorway opening is about 21 square feet. All of that skin weighs between 9 and 11 pounds. Skin accounts for about for 15 percent of our total body weight. Our skin is the body’s protective barrier against the outside world. It’s not as tough as a turtle’s shell or a suit of armor. Still, it protects our bones, muscles, and internal organs from disease. Our skin is filled with nerve endings, the sensors that allow us to feel and touch and react to heat and cold. Human skin is made of three separate layers and each layer has a specific purpose. The outside layer is called the epidermis. It is thickest on the palms of our hands and soles of our feet. It is thinnest on our eyelids. The epidermis also contains the pigments that give our skin its color. The middle layer is called dermis. It contains billions of nerve endings and is home to blood vessels and the roots of every bit of hair. The subcutaneous layer is the deepest layer of our skin. It contains fat cells. It serves as a shock absorber to help protect our internal organs. According to scientists, our skin is constantly changing and produces new skin cells as dead cells are shed. We shed between 30,000 and 40,000 dead skin cells every minute! Our skin totally renews itself about once every 28 to 35 days. Consider it this way: By the time you reach age 20, you’ve already cycled through a new covering of skin almost 200 times. We need to be aware of and take care of our skin each and every day. It’s our perfect covering. Your skin is home to billions of bacteria. More than a 1,000 different kinds. Much of the dust in your home is actually made of dead skin cells. Damaged skin heals itself by forming a scar. Scar tissue does not have hair follicles or sweat glands. Tough, thick skin often forms over an area that experiences repeated pressure or friction. This tough, thick patch of skin is called a callus. 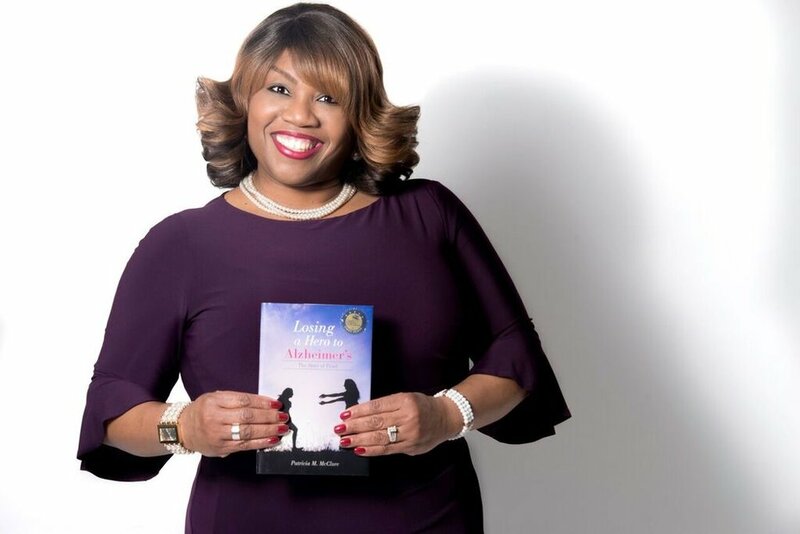 Nicole M. Stevenson is the author of Diamond's Kindergarten Madness, a story about a very anxious little girl who is about to start her first day of school! In Queens, NY. “Queens is Where Creativity is Born.” A mixture of cultures that got along. Yes, I read. I didn’t read every day. When I did, I really would get into the story. Books would provide an essential escape for me, whether it was to get away from my brother or because there was reruns of my favorite shows. My mother was an avid reader. Where the Wild Things Are. When I was teen, Nancy Drew. I enjoyed reading comics, especially Archie. Believe it or not, I wanted to be a pediatrician. Later on when I entered college, I realized that biology and chemistry were a lot harder than I thought. Babysitting my godbrother was one of my first jobs. I worked for PAL summer youth—a whole bunch of children that were full of energy. I was an Usher at a theater in Queens, where I met Cool & the Gang, as well as a country singer. It was great experience getting paid to show folks to their seats and seeing free shows. Poetry was my introduction. In school I learned about poetry and fell in love with it. It is the words in the card you love, the lyrics to your favorite song. When I write and people enjoy what I’ve written, and I can evoke different emotion from the reader. The biggest challenge I’ve had to face is when I’m on a writing streak and then there is a dry season. The point when it seems your writing is at a standstill and you are awaiting the downpour. A story that can hold up to its genre in which it’s written and leave the reader wanting to read more. A story that makes readers ask if there is going to be a sequel or series. My inspiration can come from anywhere. Diamond’s Kindergarten Madness started with my eldest girl, the main character is named after her. This is not her story, just something that I made up. My favorite snack are Oreos and ice cream. They make me happy. I will write on anything from a napkin to toilet paper. Write, write, read, rewrite and repeat. Well, I would have said Where the Wild Things Are, but after careful thought it would be inside Diamond’s Kindergarten Madness. In her world, she lets her mind get the best of her and she envisions some of the silliest things that occur. It makes me laugh and I feel like a kid again. My latest project is about a prominent black figure. This time I’m going back to my roots—poetry, of course. I’ve written four books thus far and aside from children manuscripts, I’m working on adult manuscripts as well. “I also host “On the Wall” live chat interviews on Facebook, I am the founder of Profile magazine fashion and entertainment, and I draw, paint, and write songs. For more information about Nicole M. Stevenson, visit her on Facebook. I heard that you’re taking a test in school this week and that you’re very worried about it. You’re worried that you’ll forget everything you memorized. You’re worried that you’ll end up with a bad grade. I also heard that you have to play in a piano recital and that you’re freaked out. You’re scared that you’ll play the wrong notes. You’re afraid that your parents and teacher will be disappointed and angry. Everything’s so hard when you have to do something important and you get worried. Believe me, I know. I remember how I felt when I was your age. When I took a test my stomach hurt, and my head ached, and it was hard to come up with the right answers. And when I had to play the piano in front of an audience my hands shook and it was so hard to get my fingers on the right notes. I remember my piano teacher saying, “You play so beautifully, why are you so nervous?” I remember my parents telling me, “You’re smart, you shouldn’t worry. You’ll do fine on the test!” This made me very frustrated and angry. I felt like they just didn’t understand. And I know you feel that way, too. You’re suffering and no one understands you. You feel alone. But I have news for you. You are not alone! Many kids your age feel these things. And no one’s really helping them, either. So here’s the really good news: I can show you how to feel calm when you take a test and you play the piano in a recital. You don’t have to be scared and nervous. You can feel calm and confident. I can hear you asking, “How can I do that?” Well, right now you’re focusing on how nervous and scared you are. How about if you learned to focus on being calm instead? “Focus” means what you’re thinking about and where you’re putting your attention. In a basketball game, the players are focused on the net and getting the ball into it. Then they score points and win the game. Right now, when you take a test and play in a piano recital you are focused on how nervous and scared you are. Your attention is going to your tight stomach and your throbbing head. So of course you can’t “score.” Of course you feel like you are failing. Learning how to be calm is not hard. In fact, it’s easy. You just have to learn to focus on something else. Let me show you how. Step 1: Breathing. Of course you’re breathing all the time, but there’s a special way to breathe that will help you calm down. To do this, first you place both hands on your belly. Next, when you breathe in, you feel your belly filling up with air. You don’t have to push your belly out. Just send the breath down to your belly and feel it gently expand. This is called deep breathing. Your body and brain enjoy this. They want to be calmed down. Step 2: Grounding. This is also easy, and fun. To do it, put both feet flat on the floor. Now feel the floor under your feet. Next, feel the chair you’re sitting on against your legs and bottom and back. Once you’ve done that, now feel the floor and chair supporting you. Feel them holding you up. And don’t forget to breathe! When you breathe and ground, you are focusing on calming down, not on how nervous you are. In fact, breathing and grounding are the best ways to calm yourself down. Let’s practice. Right now, close your eyes and imagine you are taking a test or playing in a recital. If you start to feel a little nervous, use the tools right away! Breathe and ground. Do it again. And do it one more time. You’ll feel better and better. And remember ... just keep doing it. I did, and now, when I have to take a test or play the piano, I remember to breathe and ground, I don’t get all upset and scared. I stay calm. You can do it, too. I know. Ben Bernstein, Ph.D., is an author, educator, and performance psychologist. Trained as a teacher in inner city schools in New York and London, he was a prominent figure in the progressive education movement in the early 70s, and has since gone on to teach at every level of the educational system. Over the last 50 years he has coached thousands of clients, from high school students to business executives to Pulitzer Prize, Tony and Academy Award winners. He has received numerous awards and grants from the U.S. and Canadian governments, and has been a speaker at national and international conferences. He was the first director of improvisation at Robert Redford’s Sundance Institute in Utah. For more information, visit drbperformancecoach.com. Becky Benishek loves to create stories that help children believe in themselves and find the magic in ordinary things ... and she likes Legos, Renaissance Faires, and the Commodore 64. In a one-story house with a giant elm in the front yard, in a town surrounded by farmland and forests, between two cities. My mom still lives there. I love it. Constantly. I can’t remember learning how to read. I remember my parents reading to me, and the house was full of books. I also remember reading to my kindergarten class and later, taking books out to the playground at recess to read on top of the jungle gym! Miss Suzy by Miriam Young, illustrated by Arnold Lobel; A Hole is to Dig, by Ruth Krauss, illustrated by Maurice Sendak; Willow Wind Farm: Betsy’s Story, by Anne Pellowski; How Spider Saved Christmas, and other Spider books, by Robert Kraus; The Laura Ingalls Wilder books. Whenever things bothered me or I was going through something when I was younger, I would tell myself, “Laura had to do this and put up with that and it was a lot tougher,” and that helped me get through it. The 1939 set of Book of Knowledge encyclopedias because they were truly wonderful marvels designed for children. Each volume had poetry, things to make and do, stories, and answered questions in addition to providing rich history and contemporary knowledge. A steam locomotive engineer. (I still do.) But I also always wanted to be a writer, which to me was synonymous with “author.” How little did I know! I’ve worked in a variety of IT and marketing jobs, including my present job. It’s wonderful, a real feel-good place where we train people who care for kids and adults with special needs and mental health issues. Very empathetic and caring all around. I manage an online community full of these customers, who seem like heroes to me and to all of our staff. Through my work with this company and this platform (Yammer), I’ve also received the Microsoft Most Valuable Professional (MVP) award since 2016, which lets me meet even more heroes. I’ve always written stories and poems; I still have most of the ones from way back, sheets stapled together and a cover done up in crayon or marker. I used to include “reviews” from The Horn Book and such, to make them seem authentic. Naturally, all were glowing! I’d submitted poems and such to various small-press publications through the years, but it was only in the last few years that I finally stopped thinking about getting my actual stories out there, and started doing it. My first two books are self-published (What’s At the End of Your Nose? and Dr. Guinea Pig George), and my third (and fourth-to-come) were picked up by MacLaren-Cochrane Publishing. In addition, I’ve been writing songs, with an eye toward collaborating with a local musician. The way inspiration really does come like a thunderbolt, transfixing, illuminating. How you know you’d better drop everything and get that pen, tablet, or keyboard in hand or risk losing it all. Even at 3 a.m. Even when you’re brushing your teeth. How you feel yourself being a conduit for something that feels so wonderful and could, just possibly, be wonderful for someone else, too. And how, with the finished piece in front of your eyeballs, you don’t feel hollow or bereft because it’s out of you. Instead, you feel complete. Sitting myself down and doing it. Allowing myself to sit down and do it. There’s always something else going on, and that something else can seem so much glossier and more vibrant than the mechanics of writing. I like the expected done up in unexpected ways. A little quirkiness or surrealism, surprising elements, shots of humor; these draw me in. If it’s true that there are only seven plots in the world, then we’re already following a formula from the start. So what makes your story particularly you, that no one else could have written? That’s what I look for and enjoy. In the course of a conversation, or a snippet of a thought or an overheard word, or looking at something that really resonates with me. Sometimes you’re aware of it when it develops and sometimes it comes like a thunderbolt. This may not be quirky so much as elbows-out and snarly, but when I’m writing, do not disturb me lest a horror happen: My train of thought derailing. If I had a Jo March (“Is genius burning?”) garret, I’d retreat there, but I have established a corner of a room where my computer lives. I may also have occasionally commandeered the immediate area I’m in when inspiration strikes. Fortunately, for the sake of household peace, I just need to get the initial train of thought down and then everyone can talk to me again. Don’t stop writing. Do find a good editor. 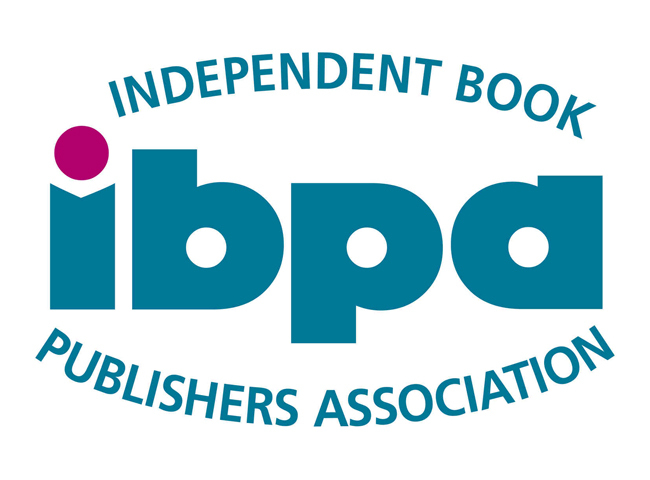 And even if your dream is to be accepted by a publishing house, don’t hesitate to self-publish in the meantime. You’ll learn so much about the industry and meet so many amazing people. Pern (Anne McCaffrey)! I always wanted to be a dragonrider. The Squeezor is Coming! (MacLaren-Cochrane Publishing) is my newest release. What’s a Squeezor? He’s a friendly monster who just wants to give hugs with his great, big, wrap-around-you-twice, squeezy arms, but he looks so scary, even other monsters run away! This makes the Squeezor very sad. How can he get them to look past his appearance? Then he gets an idea: It isn't about what he wants, but what the other monsters need. Originally, my story was much shorter. My marvelous editor, Quata, whom I found on Fiverr, thought that if I expanded on it, it could really make it into something big. I had to think about it, but saw that she was right, and I’m so happy I listened to her. When I received the contract from MacLaren-Cochrane Publishing, I was frozen in spot just staring at it for at least a minute! Then the hunt was on for an illustrator, and fortunately, I happened to work with one. Matt Fiss is a co-worker who does graphic design. I loved what I’d seen of his portfolio and some pieces he did for our company, and knew he’d be perfect to bring the Squeezor to life. To my delight, he agreed. Then, early in 2019, Hush, Mouse! (Maclaren-Cochrane Publishing) is coming out. Mouse is a tiny kitten who meows so much that she's always being told to hush. Little Liz is the only person in the house who appreciates Mouse, because she’s short for her age and is often overlooked and unheard. Together, the two prevent a crime and prove that even though they’re small, they're worth being listened to. For Mouse, I found a wonderful illustrator through Instagram, named Alicia Young. I loved how she drew both animals and children. I also decided to show diversity in Little Liz’s household. Growing up, most of the books I read had a boy as the main character. Even now, I have to consciously think not to default to “he” as a generic. This kind of thing really does have a long-term impact, and that’s why I wanted to help more kids see themselves in books. I’ve got more stories waiting for their turn to shine. What I really hope to show in my books is a different way of looking at things that can also lead to compassion and empathy—for ourselves as well as for others. Everyone has unique differences, and we don’t always recognize that we’re all part of the same family. I also think it’s harder to find meaningful and nurturing things in the mass of not-so-great stuff that comes at us. We may not know what we’re missing, but we know it’s something. It’s no wonder we’re experiencing so much drifting and disconnection. We can feel alone, misunderstood, picked on. We can’t always communicate our needs, either. So I want to give someone or something a voice in our world that they don’t ordinarily have. That’s why I’ve got a snail who decides to give his boring old town of Slipperyville one last chance, a guinea pig who thinks he’s a doctor, a big-hearted monster who learns how to look past his own needs, and a tiny kitten and little girl who believe they really can save the day—and do. Thank you so much for giving me a voice, too, in this wonderful interview. For more information about Becky Benishek and her books, visit beckybenishek.com. What the heck is a Zip? If, like me, you are a graduate of The University of Akron, you already know the answer. I worked five seasons as a student equipment manager for the U of A football team during the late 1970s. That job helped me earn a degree without accruing any student loan debt. Nada. Zero. Zip. But what is a Zip? We heard that question from the fans at every college stadium we played in across the country. The answer was obvious once you saw Zippy, our school mascot. A Zip is a kangaroo—an Akron, Ohio variety. For a time, the school’s modern rally phrase was “Fear the Roo.” Huh? A kangaroo mascot? To get some history, go to Zippy’s web site at: uakron.edu/zippy. Once you learn more about kangaroos, you’ll understand why the creature is a wonderful mascot for a sports team. Kangaroos are strong, agile, and fast. They have keen vision and a superb sense of hearing. Any athlete in search of glory in his or her sport of choice would love to embody the traits of this amazing creature from the down under continent of Australia. Fully grown red kangaroos use their powerful hind legs to move at speeds of more than 35 miles per hour. They bound in leaps almost 6 feet high that measure up to 25 feet long per hop. In comparison, big jackrabbits in Arizona can jump 5 to 10 feet per hop. How far can you jump in a single hop? Most young readers probably already know that kangaroos are different in many ways. Kangaroos are marsupial mammals. Humans and tigers and monkeys and elephants and horses and bats are placental mammals. Like all mammals, marsupials are hairy and warm blooded. The mothers produce milk for their young. But marsupials have an outside pouch where their young grow and develop. A baby kangaroo is called a Joey. The Joey is hairless and only the size of a Lima bean when it is born. The tiny Joey actually must climb from the birth canal into its mother’s pouch. During six months in the mother’s pouch, the Joey will grow 2,000 times bigger than its size at birth. More than 60 kinds of kangaroos live on Earth today. The musky rat kangaroo is the smallest. A full grown adult weighs less than a pound. Big red roos can weigh up to 175 pounds. Powerful hind legs give the kangaroo its hopping power. But how many legs does a kangaroo have? You say four, of course. Nope. Not according to a 2015 research study published in Biology Letters. The correct answer is five legs, say scientists from Australia’s University of New South Wales. A walking kangaroo actually propels itself with its muscular tail. The tail acts like a fifth leg. The scientists learned that the tail of a walking kangaroo works as hard as our legs work when we walk down the street. No other animal is known to use its tail in this way. A group of kangaroos is called a mob. A Wallaby is a kangaroo that weighs less than 45 pounds. A kangaroo has a head like a deer, can stand upright, and can swim. Kangaroos are browsers. They eat a variety of leaves and vegetation. The award-winning author and editor of more than 50 science and nature books for children and young adults, Conrad J. Storad expertly draws young readers into his imaginative and entertaining “classroom” to help them better understand and appreciate the natural world. At the age of 14, Zachary Astrowsky is a high school honors student, an actor, a literacy leader, a public speaker, and the award-winning author of the science fiction adventure, The Uncontrolled. I’m still growing up in Scottsdale, AZ. Have you always loved to read? Yes. My first book series was the Harry Potter series, which I flew through in first grade. Since then, I’ve read many Sci-Fi, dystopian books. The Book Thief by Markus Zusak is my favorite book. I got the chance to meet him on Oct. 22nd and it was one of the happiest moments of my life. I also like the I am Number 4 book series by Pittacus Lore, and the Maze Runner series by James Dashner. I am a full-time high school student, and I am currently working as a teacher’s assistant in a 7th grade Sunday School class. I have also worked as an actor in two professional musical theatre shows, Carousel and A Christmas Story. Finally, from time to time, I am hired through my talent agent for acting jobs. Being paid to do what I love is amazing. Someday I hope to be an astrophysicist and a writer. I had a lot of cool ideas when I was younger so I started jotting them down. Later, I began joining those ideas which ended in the creation and completion of my novel. Writing can be so emotional and meaningful; I like that it can change someone’s perspective on life which I find to be an amazing thing. Writing also encompasses so many genres, which is why I am always encouraging the students I speak to at school events to read more and to write more. The time it takes to edit is the most challenging part of writing. However, I have learned the importance of being flexible. For example, I had to change many paragraphs, and even plot lines, when writing my book but of course, it’s worth it in the end when the story is well written and it holds the reader’s attention. One that can keep a reader interested and turning each page of the book. In the beginning, my friends and family provided me a lot of inspiration. Lately, it has been my readers and the kids I speak to at my speaking events that have been inspiring me to write more. Cheez-Its, Goldfish crackers, and pudding. What writing advice do you have for young, aspiring authors? Keep working your hardest at writing as it can influence someone’s life and the end goal of having a completed novel is worth the effort. All of my favorite books are dystopian-themed, so I would spend a day on any crazy adventure if given the opportunity. I am currently working on a sequel to The Uncontrolled. With my busy school and sports schedule, it has been difficult finding the time needed, but I hope that will change soon. In The Uncontrolled, the robotic way people smile is John's first clue that things are not quite as they seem. His parents are forced to tell him about a plot so abominable that it upends his world. At age 14, everyone is brainwashed with a tracking device by a hidden society called Tracker for Globe or T.F.G. John and his friends learn about the organization when it is their turn to be implanted with the device. Over time, plot twists come into play and John starts seeing visions of the future. He also finds out about a second secret group, the Renegades, who work together with John to take on the T.F.G. in an exciting and unexpected battle. I am very appreciative of all the support I have received from my family, friends, and readers. I also feel very fortunate that Reading is Fundamental has partnered with me so together, we can motivate more children to read. When I am not playing soccer or the drums, I really do enjoy speaking to children about the importance of reading, writing, and finding a passion in something that inspires them. For more information about Zachary Astrowsky and his books, visit theuncontrolled.wixsite.com/website. Do you believe in magic, like when you see something fantastic out of the corner of your eye? Was it a horse in a hat … or was it a unicorn? 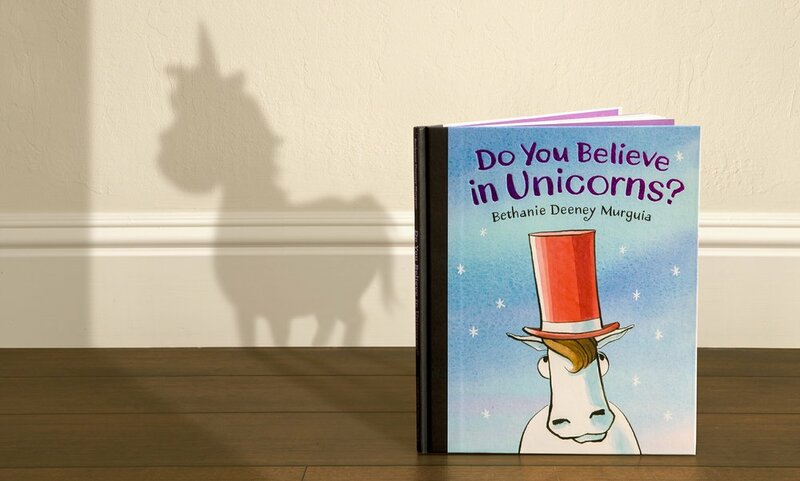 I was fortunate to have caught up with Bethanie Murguia, author of Do You Believe in Unicorns? 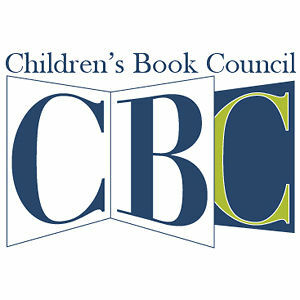 (Candlewick). She had some words of wisdom on imagination superpowers, the creative process, and yes, finding unicorns! Q: I received a copy of Do You Believe in Unicorns? to review and was immediately excited to share it with my 6-year-old! Tell me about how the idea for the elusive unicorn came about, but also about the concept of finding what you expect to see making its way from idea to print. A: It began with the image of a character in a hat. It could be either a horse or a unicorn—but there’s no way to be sure. I love that the hat creates possibility. Because it’s ambiguous, our own beliefs, experiences, and knowledge become a big part of the story. I wanted readers to be able to make up their own minds about unicorns and magic. Children so often hear the word “No.” This book asks, “What do you think?” It was a vague idea in the beginning, though, and it took many, many revisions to get to the final book. I have 52 versions of this story on my computer. It’s daunting to work on a project when you don’t know where it’s headed, but seeing it work out well is also a good reminder to have faith in the creative process. Q: Many of your books, including The Too-Scary Story, I Feel Five! and Princess! Fairy! Ballerina! are centered around creativity and imagination like little reminders about the power of wonder and enchantment. Can you tell us your earliest recollection of when you realized your imagination was your superpower? A: I love this idea of imagination as a superpower. As an adult, I recognize the power of imagination and what a gift it is to be immersed in creating or reading a book. As a child, I don’t know that I paid much attention to it, but I realize now that I definitely had an active imagination as a child. When I was seven, we moved into a house that was over 150 years old. It was so magical to me, with stairs that went nowhere, secret spaces behind tiny doors, and hatches in the wood floors that I was sure led to treasure. I spent years trying to talk my parents into ruining the floors to pull up those nailed down hatches, but they never agreed. It was probably a favor in the long run because it kept the possibility of treasure alive in my mind in the same way the hat allows for the possibility of unicorns. I think possibility is really powerful. Q: Your illustration style has been described as ”Self-assured pen, ink, and watercolor illustrations….” by Kirkus Reviews. I have to say the description “self-assured” must be music to your ears. As an artist myself I know how intimidating it can be to put your work out there! Tell me about this style of hard and defined line paired with soft shadow and minimal detail. What kind of background can you give us to how your technique evolved? A: I’ve been playing with pen and ink since I was in elementary school. I was obsessed with calligraphy and I attribute any perceived “self-assuredness” to years of repeating letterforms over and over and over. But I also adore watercolor because it’s so unpredictable. Combining the two gives control of important details while also allowing for looseness. With that said, I’m always trying out new ways of working. My first books were done with nib pens, but I’ve been experimenting with bamboo pens and brushes because they have very different line qualities. I used both a nib pen and bamboo pen for Do You Believe in Unicorns?. Q: Your website is absolutely adorable. I love that your ”About” section is told in snapshots and text and reminds me I need to journal more in my sketchbook! Do you think on paper in doodles and half-created scribble ideas or do you create the ideas in your mind prior to them ever seeing paper? What is your preferred method of harnessing all those loose possibilities? A: I always doodle! I wish I had a clear picture in my mind, but that’s not the case. I just keep drawing until characters or ideas begin to gel. And sometimes, it takes months or years. I keep files of ideas that haven’t come together … yet. I draw and write and do thumbnails in sketchbooks until I have words and images for a few spreads at least. Then, I start trying to make a book. I also have a giant corkboard in my studio where I hang bits and pieces to see how they might fit together. Q: One of your blog posts states, “Whenever I have the opportunity to speak about the creative process—whether to children or adults—I usually offer up two pieces of advice: 1. Be a collector 2. Be an experimenter.” Can you elaborate a bit about how this relates to daily life and give an example of a major win in your life to which you can attribute those two points? A: I think all creative wins require some form of this—collecting raw materials from the world around us and then experimenting with how to put them together to convey what we want to say. I’m always looking for ideas, keeping sketchbooks of moments that are interesting to me—sketches, snippets of conversations, etc.—anything that makes me feel something. These become building blocks for stories. In my case, it’s rarely a lightning bolt that strikes, but rather, continuing to gather little pieces of inspiration. Q: Any projects in the works for which we should be on the lookout? Do You Believe in Unicorns? was just released in September, but what’s next? A: Yes! I just finished the final art for The Favorite Book, another collaboration with Candlewick Press. It’s a picture book that explores how we make choices, allowing readers to pick all sorts of favorites along the way. I’m very excited to see this one in print (Fall 2019). And, I recently launched a site, findmoremagic.com, that’s an extension of Do You Believe in Unicorns?. I wanted to create an experience that would expand on the themes of the book. The site has fun DIY activities, a unicorn mystery, and a UnicornCam app for spotting unicorns (iOS). Bethanie Murguia is represented by Rubin Pfeffer at Rubin Pfeffer Content and you can learn more about her at aquapup.com. Julianne DiBlasi Black has written and illustrated several books, including Sleep Sweet, the multi-award winning Augmented Reality picture book. bookturnip.com. The Nocturnals series features three unlikely friends: Dawn, a serious fox, Tobin, a sweet pangolin, and Bismark, the loud mouthed, pint-sized sugar glider. The stories all play out in their nighttime world with teamwork, friendship and humor in every adventure. I grew up in the suburbs of San Francisco but knew even when I was young that I wanted to move and live in New York City. As soon as I finished college, I moved to New York and for the most part have been there ever since. Yes! I loved to read, and I remember in elementary school choosing many recess periods to sit in my classroom and finish a book. I remember once in sixth grade staying to read Where the Red Fern Grows, and when everyone came back from break, I was sobbing on a bean bag in the reading corner of Mrs. Lapachet’s homeroom! That was a bit embarrassing. Who are some of your favorite authors/books? I love Flora and Ulysses, by Kate DiCamillo. For me as a reader, it is immensely engaging, and for me as a writer, it is immeasurably inspiring. Kate DiCamillo’s characters and story lines have always possessed poignant clarity and honesty. I also love the Save the Story series. The best book is a book that leaves you wanting more, and that’s just what Antigone from the Save the Story series did for me. My 25-year-old actor/writer/poet daughter gave my 9-year-old video game/soccer-playing son the Save the Story version of Antigone for Christmas last year. He read it, I read it, we read it aloud, and then we ordered the nine other books from the Save the Story series. These books captivated my entire family. I’ve always been a writer, since I was young. As a child, I also wanted to be an illustrator, and I remember using oil paints in particular to create characters, mostly human at that time. I was an English/creative writing major in college and found jobs from early on that allowed me to write. Tell us about some of the jobs you had before you became a writer. I had many jobs! From my early days of babysitting to office administrator and temp jobs in high school. I was a waitress, and I worked in advertising and marketing as well. Then, when I was 40, I sold my business and took a year off. I spent the year thinking about what I wanted to do next. I knew I wanted to write and create, and I also believe strongly in the value of children’s literature as both a form of entertainment and a cognitive tool for children’s development. I decided to write a children’s series that recognized storytelling more broadly. It was over the course of that year that The Nocturnals brand was born. It’s fun to think of the progression. It all started with the challenge of putting my kids to bed! I thought it would be fun to do a series for kids based on characters that woke up right when kids were just going to sleep. The Nocturnals animals came from that basic idea, and that’s when the series started to take shape. I truly remember sitting on a deck in Maine early one morning four years ago. There was a heavy fog over the lake, and I was the only one in my family awake. I sketched the first ideas for The Nocturnals that morning. Now I’m surrounded by an incredible team and all of our amazing readers, librarians, teachers, and bookstores, and I’m filled with many more ideas of what we’ll do next. I wanted to create a world that children were usually excluded from—nighttime! And once I decided on nocturnal animals, the rest came from there. An exciting aspect—and one that actually surprised me—was how much I like the research. Learning about unusual animals is one of the most fun things about the series. I love using the physical traits and unique characteristics of the animals to help develop characters and enhance plot. One of the main reasons I write is to encourage families to incorporate reading together into their routines. Reading aloud is not only vital for a child’s critical thinking and development, but it’s fun and a great opportunity for family bonding. To extend my belief in reading as the center of shared family entertainment, my team and I partnered with The Wyndham Grand Hotel Group for a nationwide family program, Reconnected, a Family Experience—a program that addresses the need for family quality time over screen time—and my first book, The Mysterious Abductions, was included as part of the program for families on vacation. The moment right before you start. As soon as I am writing, I’m happy, but most days the moments leading up to writing are when I begin to feel daunted. I just have to force myself to dive in! I think rhythmic voices make for compelling stories, especially when reading aloud. When I started writing The Nocturnals, I had just finished writing for film and television. At the time, I was inspired to write a dialogue-based book series in a kind of cinematic vernacular, as I thought kids would find it fun to read. I wrote the three main characters of The Nocturnals in a 3-2-1 staccato. It gives the books a distinct tone, which I love! Everywhere. People, places, conversations, events, books, television. My imagination can run away pretty quickly, and all it takes is some tiny instigator to get it started. I use my phone less than most people as a result. I like the empty time—the time when I’m not doing anything or looking at anything when my mind can run away. My latest book, The Peculiar Possum, is the third addition to my Grow & Read program. It’s a story on the importance of staying true to oneself and not being afraid to be “peculiar” or unique. The story is told with plenty of humor while underscoring the importance of respecting differences in others—a key lesson for children in this age group. My team and I have also developed The Kindness Game. 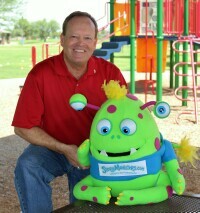 It’s a game designed to support literacy skills and social and emotional learning. The game is ideal for incorporating into bullying-prevention programs and concludes with a student-lead exercise in identifying kind words and behaviors to promote a culture of kindness in schools and libraries. I’m writing two more early readers right now. One deals with cheating and wanting to win; I think many kids can relate to that desire. And the other is about imagination, how letting your mind wander can be great entertainment. For more information about Tracey Hecht and her books, visit NocturnalsWorld.com. I was born in Israel and moved to Toronto when I was 11 years old. My family had just emigrated from Russia when I was born. I grew up weaved into a mix of cultures which taught me to have an appreciation for differences. But I can honestly say, having lived in Canada most of my life, I feel very much Canadian at heart. I loved (and still enjoy) Shel Silverstein’s color-outside-the-lines style of poems and stories. One of my absolute favourite books by him is The Giving Tree. Also, I’ve always enjoyed fairy tales (but didn’t we all?). Charlotte’s Web, The Babysitter’s Club series and The Outsiders were some of my other favourites when I was growing up. I’ve wanted to be a teacher since I was 5 years old. At some point that changed to wanting to become an interior designer, a lawyer, and even a psychologist. I finally opted for my first love and chose a career in teaching. Some years into my teaching career, I began writing poems and stories for my students. I guess you can say that writing became a calling after I began to see how important storytelling was as an educational tool. But then, I also learned that books added a fun element as well. I’m delighted that I had a built-in audience before I even published my first book! I wrote quite a bit as a teenager (mostly poetry) but found an audience for my writing in the classroom, writing mainly to support areas of study at school. I eventually discovered a terrific outlet to share my work with others—on my blog (wordsonalimb.com) and associated social media. This allowed me to create a digital library of some of my classroom content. In fact, several years ago, I wrote a poem to teach students about the power of words and their impact. It began to receive positive feedback from students, parents, colleagues, and online subscribers. It soon took a life of its own as an animation and eventually as my first a picture book, Words. This was the breakthrough that marked the beginning of my writing journey. I love taking an idea and molding it to life with words and images. I also love being able to convey important messages through literature. These notions shine through in my book Freshly Baked Pie. It is a simple story, based on a poem that I wrote, that, through effective illustrations and whimsical writing, both gently teaches a lesson and entertains readers. I love the creativity and flexibility that writing offers. Anything and everything can exist in our imagination. Real life may have boundaries, but stories, not so much. I revel in seeing a concept, that exists only as a mental sketch, come alive through words and images. I also appreciate the way an author can arrange letters, words, and sentences into a composition that evokes strong emotions—joy, sadness, surprise, wonder or inspiration. I also feel that picture books give me the freedom to take a lyrical form of writing, like poetry, and transform it into a story that can be enjoyed at bedtime. There is something unique about being able to create art from a simple idea. Writing requires commitment, dedication, and most of all, discipline in order to take it beyond a hobby. So I have learned to carve out time from my busy schedule to meet self-imposed deadlines. Sometimes I find that ideas flow through my head faster than I have time to devote to them, and that can be quite frustrating. I think a good story has a redeemable value, something the reader can take away, all the while being entertained. Also, a good story has an element that the reader can relate to, whether it be a character or an event. That connection between literature and real life experiences make the story more meaningful to the reader. My inspiration comes from working with kids, my students, and my children. Sometimes an idea strikes amid a busy, noisy day. Other times a vision sneaks up in quiet moments of contemplation. My book, Lucky Me, stemmed from a theme we discussed in school. It was around the time of Thanksgiving and we had a great conversation about gratitude and things we felt blessed to have in our lives. This inspired me to write a poem for my class, and eventually I wanted to share this message of gratitude with a wider audience. Regardless of where in the world we each came from, and what stories we each had to tell, we had one thing in common—a sense of gratitude. This element inspired me to incorporate thank you in many languages. Several arduous months later, we published a truly global and memorable, sweet picture book. It was a hop, skip, and a jump from conversation to message-filled pages. My most recent title, The Three Witty Goats Gruff is a modern adaptation of the fairytale, Three Billy Goats Gruff. Once again, the idea came from a simple math lesson about measurement and patterning. My students loved learning math through this story of the three goats! The math unit became my best-selling teacher resource package on a website I love to contribute to, called Teachers Pay Teachers. Once again, I felt compelled to transform this simple lesson into a book that can both teach and entertain kids all over the world. In my remake of the story, I proposed an alternative way for the goats to solve their dilemma—rather than using force to subdue their bully, they use their wit to outmaneuver the greedy old troll. As well, I incorporated a female goat as the heroine of the story as girls are seldom depicted as the hero, and I felt it was time to turn the tables! The book also contains plenty of fun learning opportunities for young children. I am so pleased to have completed and published this title. I am currently working on a compilation book that features many of my poems and short stories that I composed throughout my writing and teaching career. Obviously not all of them can make it into a full picture book! But I wanted to share them in the shorter format just the same. I feel this book will be a landmark piece on a personal and professional level. Sometimes writers can feel vulnerable when they compile an anthology of personal thoughts in words. For me, it is especially the case since I will be sharing work that spans from my early years as a writer to some of my latest poems and short stories. We are currently deciding on the illustrations and book design, but it won’t be long! I am also working on converting my published books into a digital format so parents all over can swipe through my stories on their tablets before bedtime. I want your readers to know that, like many authors, my books are very personal to me, creations that I have nursed from their infancy until they are shared with the world. 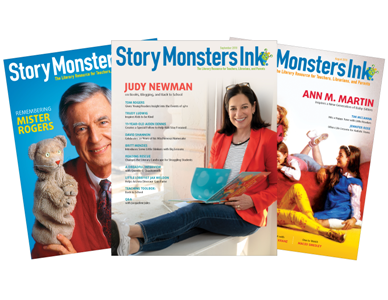 Readers will find that they can enjoy my stories on many levels: as literal stories, symbolic allegories, educational tools, and of course, bedtime treats. For more information about Lora Rozler and her books, visit www.lorarozler.com and www.wordsonalimb.com. Can warthogs fly? Do tigers eat broccoli? For answers, follow along as Warthog lies his way to the throne in this timeless, yet most timely tale from the Watering Hole. With a nod to Aesop and Kipling, The Lying King has lessons for everyone, from the playground to the boardroom and beyond. I grew up in NYC in the 1970s, back when the city was a little grittier than it is today, but wonderful for its eccentricity. I didn’t really start reading voraciously until I was about 10 years old. I was swept away by Roald Dahl’s Danny, Champion of the World, and from there it was off to the literary races. What are some of your favorite authors and books? I’m still a big fan of Roald Dahl, but I also like Kipling and Conrad, in addition I’m a big fan of the genre of anthropomorphic parables, from Animal Farm to Watership Down, Yertle the Turtle and Maus. I always wanted to be an artist and author, which I am, but I also would have liked to play third base for the Yankees. I never got the call from George Steinbrenner, though. Oh well. I don’t know that I’ve ever really had a job as one might think of it, but I’ve been working pretty hard on the whole artist/author role for quite a while now ... all the way back to my first solo exhibit in SoHo when I was in my early 20s, and while sometimes it’s a little hand to mouth, at least there’s no retirement age. I started writing because I was presumptuous enough to think that what I had to write was worth reading, and while my wife would tell you that more often than not what I have to say is hot air, I still think I’ve got a few thoughts worth conveying. I write books to try to impart truth, and I use wildlife as a means of doing so, because I believe that it’s easier to reflect back on ourselves through the eyes of animals than it is by using people. I like the process of chewing on a thought until I can refine it down into its most simple and concise form. It’s a little like putting together a puzzle until every piece fits just right to complete the whole. The most challenging aspect is having something worth saying in the first place, and then working on it until the message is conveyed in its least pedantic fashion. It can be hard not to get too preachy, but I learned early to kill my darlings, and that’s been quite helpful. The best stories are those that transcend the time in which they’re written. A good story is one that entertains and teaches at the same time. I draw my inspiration from Nature. I use animals to soften what I think to be particularly pointed subjects, and try to search for truth and beauty (even when it’s ugly) in what I observe. My latest book, The Lying King, is a parable about the rise and fall of the archetypal demagogue. At a time when it seems that truth is on the defensive, The Lying King is my version of what happens in the end to the serial liar. Hint, it never ends well for the liar! As soon as I’m done touring to promote The Lying King, I’m off to the coast of East Africa to dive with the whale sharks, to spend some time with my family, and to listen to the wind blowing off the Indian Ocean. After that, it’s all wait-and-see pudding! 3) Be honest with yourself. If we all do those three things, I think the world would be a better place. For more information about Alex Beard and his books, visit alexbeardstudio.com. Visit Alex Beard at the Miami Book Fair! November 11-18, 2018 at Miami Dade College. at Mr. Wembley’s Storytorium in Children’s Alley.